Lumina® pocketed spring and hybrid mattresses combine the finest fabrics and eco-friendly raw materials with over 50 years of mattress engineering expertise. 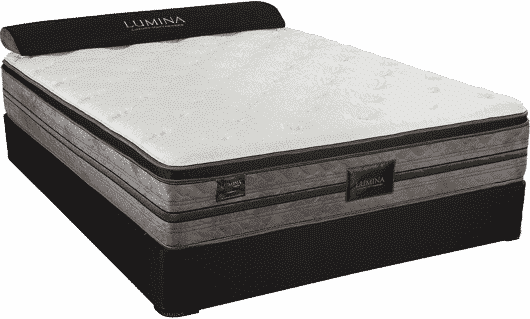 For painstaking attention to detail at a surprisingly affordable price, look no further than Lumina®. Each coil spring is individually encased in its own lightweight, durable fabric pocket.  This design allows each coil to respond independently which, in turn, improves support and virtually eliminates motion transfer. 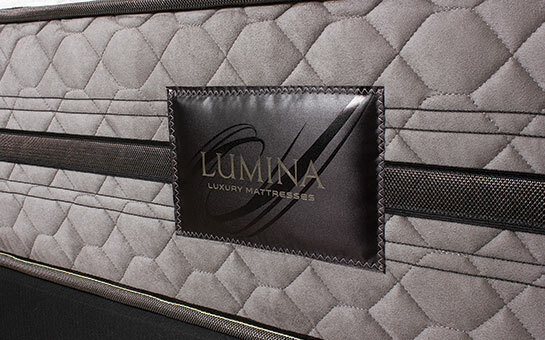 Lumina® mattresses incorporate an array of the finest comfort materials in its top upholstery layers. 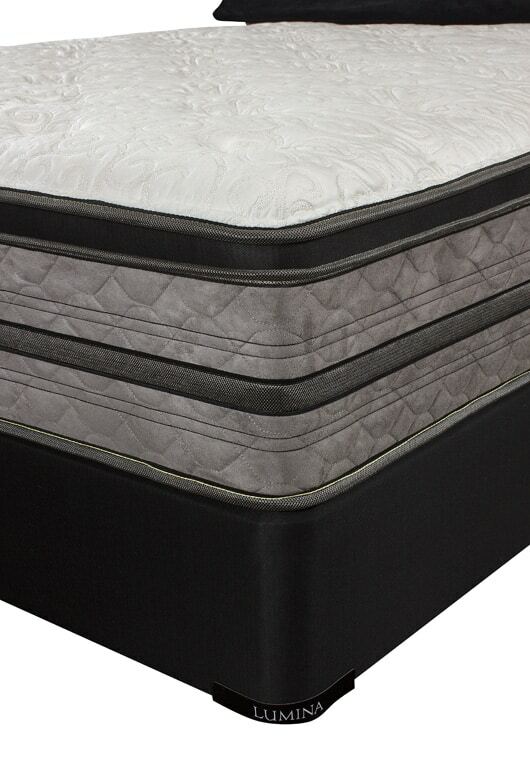 Materials like Talalay latex and high-density memory foam enhance pressure relief and back support. 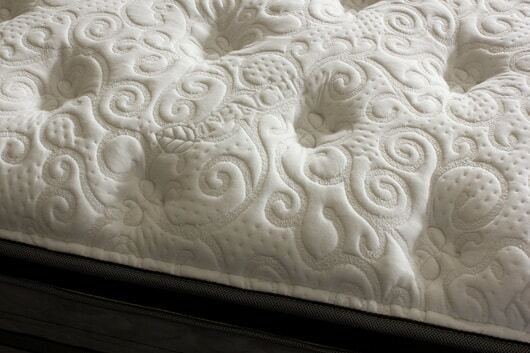 Talalay latex is a natural latex product produced using the Talalay molding process.  The Talalay molding process pours natural liquid latex rubber into a vacuum-sealed mold which is then frozen (to stabilize the rubber cell structure). Carbon dioxide is then introduced, and the mold is heated to cure the rubber and produce a foam. The result is a healthier alternative to petroleum-based foams since such foams emit volatile organic compounds over time. While many competitors opt for lower-cost memory foams that provide less support and end up breaking down more quickly over time, Lumina® products use only high-density grades of foam. 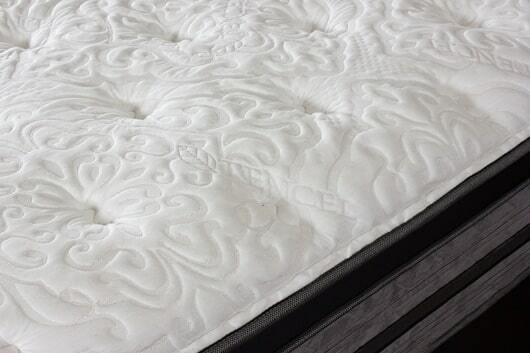 Our open-cell memory foam construction also maximizes ventilation to keep you cool throughout the night. Our unique cover fabrics evoke old-world luxury, yet offer the advanced ergonomic features of a high performance material. Judicious use of advanced fibers allow the fabric to stretch in four directions. This enhances and enables the pressure relieving, and support functions, of the materials below the surface. 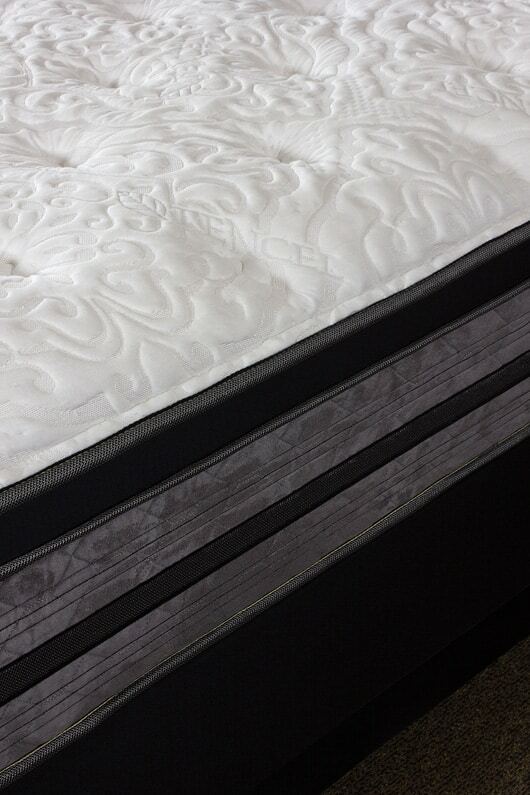 Sherwood Bedding uses only time-proven manufacturing processes that minimize defects across our entire range of products. Many manufacturers continue to use chemical treatments and other materials that can adversely impact the environment, but not us. 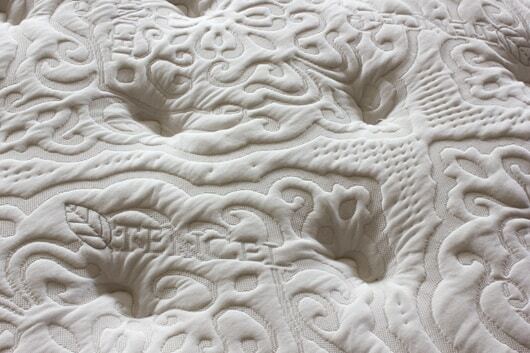 Sherwood Bedding always carefully selects every material we use with safety as a top priority. The Celebrity Hybrid Series of luxury pocketed spring mattresses are engineered to deliver deep conforming comfort. 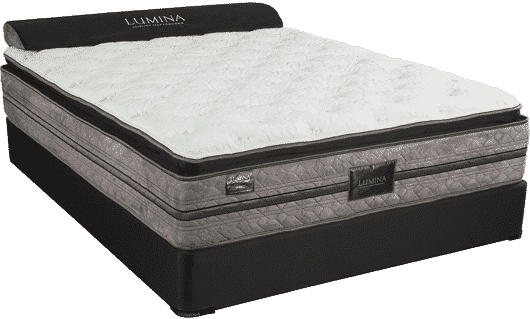 Each of the Celebrity models features a high-carbon content “tempered” pocketed spring system designed to eliminate motion transfer, with the pocketed spring support system being fully foam encased for superior edge performance and stability. Heavyweight Celebrity panel covers are knitted with Lycra and infused with natural Tencel fibers for durability and enhanced conformability, while high-density upholstery grade foams and cool gel memory foam layers are carefully layered in an ascending support strategy. 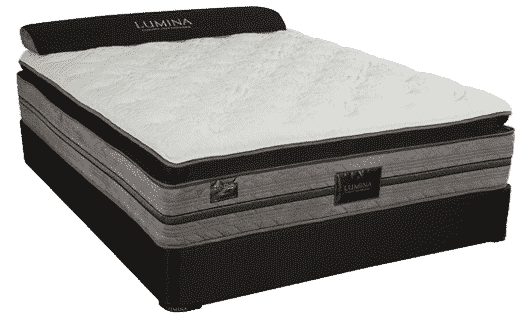 The Celebrity Hybrid Series of mattresses are available in Extra Firm, Firm, Luxury Firm, Plush, Euro Top, and Jumbo Pillow Top models. 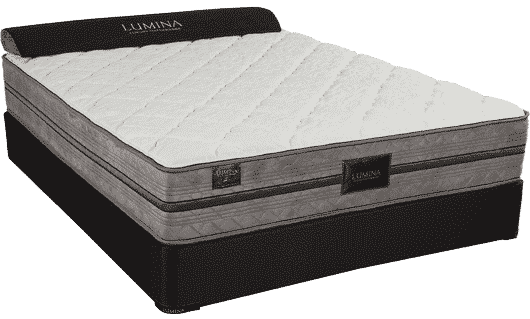 The Affinity Hybrid Series of luxury pocketed spring mattresses are engineered to deliver deep conforming comfort, with each model featuring a high-carbon content “tempered” pocketed spring system designed to eliminate motion transfer. The heavyweight Affinity panel covers are treated with Max Breeze™ temperature regulating technology and are knitted with Lycra and infused with natural tencel fibers for durability and enhanced conformability. 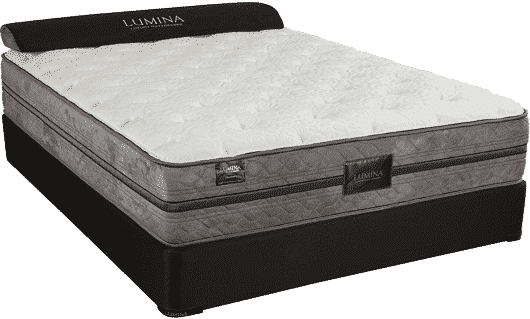 Soy-Based upholstery grade foams and thick layers of high-density memory foam are carefully placed with an ascending support strategy. 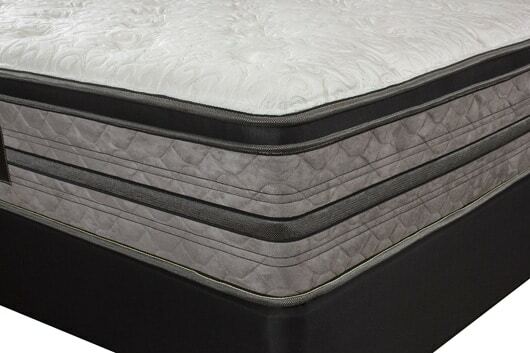 The Affinity Hybrid Series of mattresses are available in Luxury Firm, Plush, Jumbo Pillow Top and Latex Euro Top models. For true luxury at a price you won’t believe, experience LuminaⓇ.